Planning season: it’s a time to catch your breath and reflect. For me, this means thinking about both the farm and my family. I use this season to analyze insights gained from the recent harvest, and prepare for the coming year, as well as to enjoy downtime with my wife and our four kids and remember all we have to be thankful for. 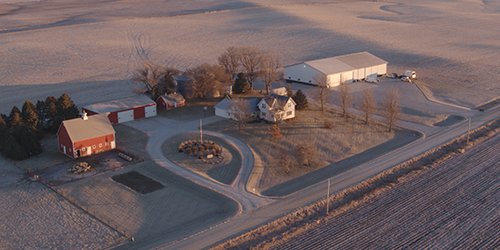 I was privileged to grow up on a family farm in central Iowa, living a life with agriculture at its center. My great grandfather established roots in this area in 1939 and passed the land down to my grandfather. My father and uncle followed in his footsteps over the course of 57 years. After spending my life on this farm and now raising my own family on it, there are a couple of things I know for sure: solid relationships and proven resources you can trust are critical to your short- and long-term success. 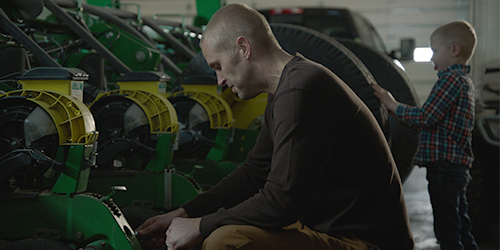 Farmer Justin Hanson uses Climate FieldView™ as he plans for the upcoming planting season. For Justin, this means another important benefit: more time to focus on family. Just like our fathers, my cousin Mark and I farm our land together. Since 1998 we’ve continued to maintain and carefully grow this operation that has meant so much to four generations of our family. 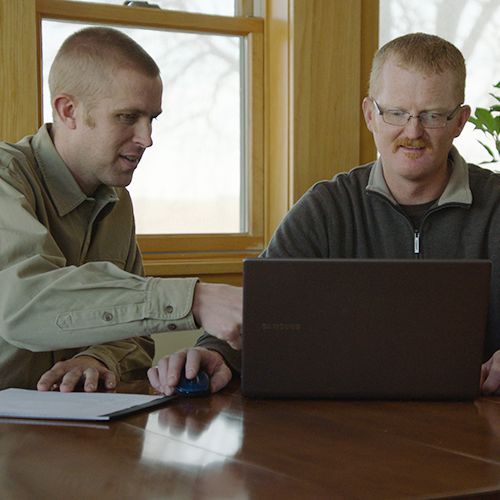 We work together to make decisions that are right for our farm, and for a few years now, we’ve looked to FieldView as a critical part in those decisions. With planning season in full swing and spring planting coming perhaps even faster than we expect, here are some of the ways my partnerships and trusted resources help me prepare for the coming year. I often think about how if you’re fortunate, you might have 40 or so chances to put seeds in the ground in the spring and harvest the results in the fall - there’s a lot of pressure to do it right. How can you know what seed will perform best in specific areas of your fields? A couple of advantages I have is that my cousin Mark is more than a farming partner - he’s also a Channel Seedsman and Climate FieldView™ dealer. That means I have access to his seeding and digital farming expertise. For example, we use the FieldView yield analysis feature that helps us assess crop performance and analyze yield by field, hybrid, soil type or region. In short, we can see what seeds did best in specific areas of our fields. These important insights help us to make confident seed choices for the coming year. With razor thin margins in farming, once I have made my seed purchases, my next focus is making the most of these investments. This time of year, I begin working with Mark (as my dealer) to develop variable rate seed prescriptions. The technology for this has progressed at an incredible rate, and with the FieldView advanced seed scripting tool, we create highly effective variable-rate prescriptions in just minutes - versus the hours it used to take. This time-saving resource applies our historical field data, combined with real-world field testing results to help us manage planting populations across multiple field environments. Variable rate seeding helps us make every seed count. We have been practicing advanced seed scripting for the past three years and have experienced less seed waste and overall positive yield bumps because of it. After harvest, we typically conduct soil tests in the fall, and this year we plan to do one in the early spring. Now is a good time to review the fall tests and upload this data into our FieldView account. Doing so allows us to visualize organic matter on field screens on our iPad® and Android® devices and helps us to formulate a maintenance plan to ensure we will have the soil nutrient levels we need to create fertile ground for our new crops in the spring. With ever-changing harvest and planting schedules, you have to be prepared to be in the fields when it matters most. There are so many variables to consider – the weather, field variations, unpredictable seasons, and more – and it’s important to control what you can to set yourself up for success. This is, of course, the perfect time to work on equipment maintenance, and I enjoy the fact that I can take a little extra time to recruit my kids to help. They like being in the shed with dad and, with no need to rush, I can show them their way around a tractor or a planter. I also take a bit of time to make sure that I’m all ready to collect my valuable planting data in my FieldView account in the spring. Although almost all the equipment in our shed is green, you will see other colors here and there. We appreciate that FieldView works with all of them. I think each season is enjoyable in its own way. And while the excitement of planting and harvest seasons is hard to beat, I really appreciate the different pace of planning season and the distinct opportunities it brings to prepare myself personally and professionally for the busy spring. I hope you enjoy this time of year and wish you all the best as you look ahead to your spring planting and fall harvest. Fourth-generation Iowa farmer Justin Hanson partners with his cousin, Mark Hanson, to grow corn and soybeans on their operation near Roland, Iowa, just north of Ames. 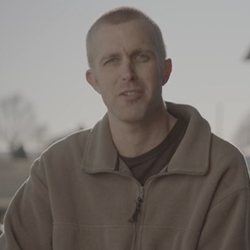 A graduate of Iowa State University, Justin lives on his family farm with his wife Katie and four children.